Doors can dramatically change the façade of house for better—in the case of a fresh door design—or worse, as with a weathered and worn door. Furthermore, given the extent of use that every door gets, it is important that your doors will reliably serve you for a long time. When starting the process of a door installation project, you can ensure that things go smoothly by doing a little homework first, and having some idea of what you want before hiring a contractor. Are you looking to replace entry doors? Are you interested in sliding doors, French doors, accordion doors, or doors with other special features? What kind of security features would you prefer? Are you replacing all of your doors, and if not, do you wish to match your new doors with your existing doors? What kind of handle, knob, lock, or latch do you prefer? What kind of molding do you like best? Do you simply need a door repair or maintenance? Answering some of these questions in advance will expedite the process of locating the right door contractor for your project. Solid metal moving parts, for instance, have a much longer life than do plastic parts. Look for doorknobs that are guaranteed for a minimum of five years. It is not uncommon for antique handle and lock features in well-built homes that are 100+ years old to continue functioning well. The amount of energy required to manufacture package, ship, and install door features every 5 or 10 years Will cost you to pay dramatically more over the life of your home that you would by simply choosing high quality fixtures that you like the first time around. What kind of door style do you prefer? What other elements are you attempting to match your doors with? It is vital to your home appearance and curb appeal to select doors that match your exterior, whether it consists of siding, wood, brick, stucco, or stone. 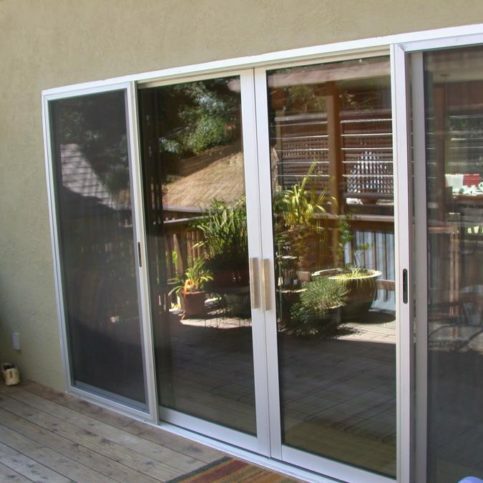 Commonly referred to as sliding or patio doors, this system space-saving doors uses multiple panels in front of each other. Lift and slide doors are not to be confused with pocket doors which slide into a wall. A common variation is the barn door. One advantage of lift and slide doors is that, thanks to their lack of inward or outward swing, they can come in a variety of sizes and offer open wall capabilities. These doors painted on a series of engines along a track, and stacks smoothly at one end to open up a wall. Because they do not slide inside the wall or lie flush against the wall, swing area is still a factor. Such doors are perfect for opening up indoor/outdoor spaces or like patios, sunrooms, swimming pools, and dining areas. These doors rest entirely on the bottom of the frame and pivot on a hinge located along the bottom side of the door. Because the weight is not “hung,” these doors can be significantly heavier and increase the longevity of the frame. They also allow for the use of a larger door by reducing the swing radius. One advantage of steel doors is that, given the capacity of steel to support more weight, the windowpanes on a steel door can be significantly thinner. 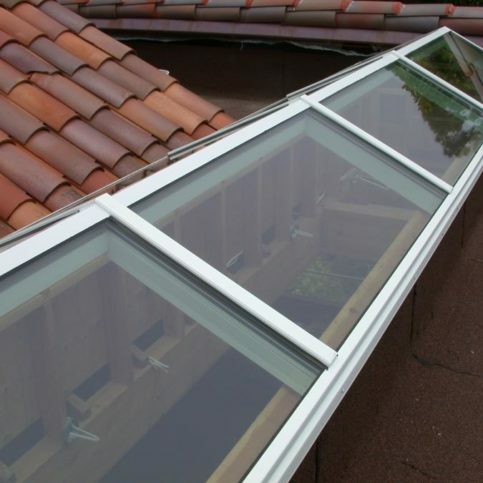 This provides the sense of greater openness and can also offer a wider range of less orthodox glass designs. Pocket doors are a common door type with several desirable features. Rather than swinging open and shut these doors slide into the wall, effectively vanishing when open. This can have the effect of making a bedroom or bathroom feel slightly less closed or private, but also saves space, and can add a touch of luxury, romance, or modernity to accent a room. Such doors also often feature windows or frosted glass, allowing light to permeate deep inside the room. These doors can additionally provide a colorful or stark contrast to the colors in the rest of the room. Perhaps the most popular place for pocket doors is on closet and pantries. Multilayered pocket doors can also effectively create their own wall, closing off and opening the outside. Another popular alternative similar to the pocket door is the barn door. This door style slides in front of the wall rather than inside it. Barn doors are still space-saving, but may obscure light switches, and don’t offer the same privacy that a pocket door for traditional swinging door would offer, thanks to the gap between the door and door frame. Glass doors offer yet another appealing alternative. Such interior doors are common in both traditional swinging and pocket styles, and offer the advantage of leading natural light from one part of the house filter into another while maintaining privacy. 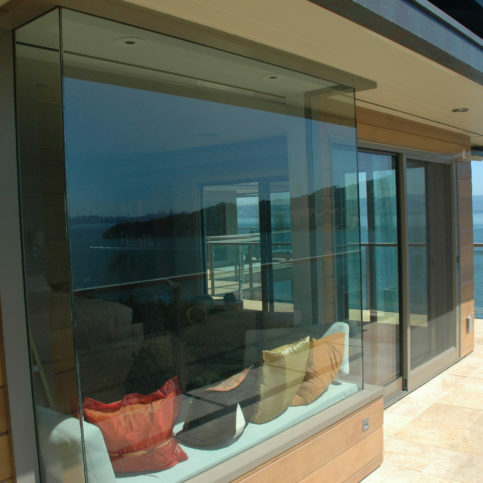 Most glass doors in the home environment are opaque or frosted. Traditional solid woodpaneled doors can also be upgraded by replacing panels with glass. Antique or salvage doors offer a host of benefits, and have become popular thanks to their throwback charm, higher-quality hardware, and often, lower prices. Be sure to take the time to find a salvage door that properly fits your space, and is largely free of your regularities and warps. Doors have the capacity to liven up a room significantly yet tastefully, saving you. They can make a white walled room seem more colorful, and highlight colors and patterns in the furnishings of an interior environment. Additionally, colorful interior doors can offer aesthetic transitions from one room to a next. Consider spicing up at least one room in your home with a colorful door, be it in a mudroom, basement, bathroom, or bedroom. You might also consider a multicolored door or a patterned door design. A final current trend is the use of garage doors or wall sized systems of pocket, sliding, or accordion doors to create an open wall, blurring the line between indoors and outdoors. 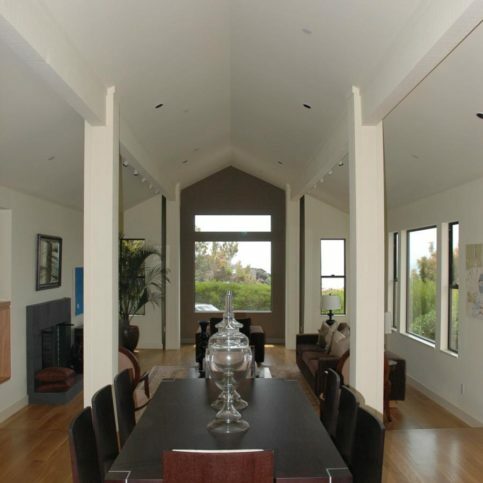 Open walls are unparalleled for adding light, openness, and space to an interior environment. This specialty design trend can transform an interior space. One of the most important features for entry doors in particular is adequate security. For any entry door project, it is therefore important to assess your security needs. Specially made, heavy duty security doors can keep out intruders and the elements, and provide you and your family with peace of mind. Security doors are built to withstand several hundred pounds of force, and also offer features that protect against intruders, fire, and other hazards. They are also more weather resistant, and come in a wide range of design styles, though they are often made of steel or heavy-duty aluminum. Door hardware also comes in a variety of security grades and forms, from dead bolts and alarm triggers to simple handle locks. The available space you have is another consideration when selecting a door. Will your door fit easily in the existing entryway, hallway, or other opening? Is there room for the door to fully open? Will the open door block other passageways, or bump into ceiling fixtures such as lights, events, and fans? Will the door remain more open then closed, and if so, will the open door obstruct the room or provide an inconvenience? If it is an interior door, will the height of the door leave space at the bottom for ventilation necessary for adequate climate control. Will the height of the door leave space at the bottom for rugs or carpet when the door swings open. 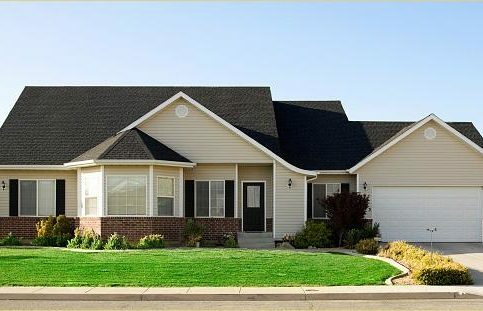 The front door is perhaps the single most noticeable element in a home, and can make or break your home’s curb appeal. 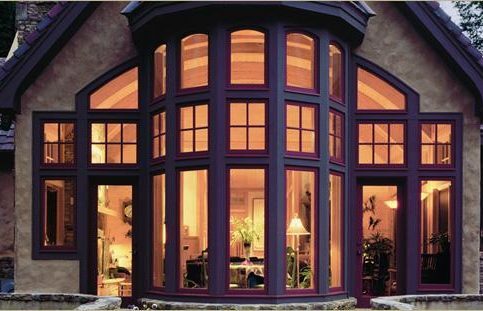 clearly, features like insulation, weatherproofing, and durability are key when selecting a front door. Your front door is also an opportunity to make a bold statement and define the kind of home you live in. If the budget allows, custom carved, painted, and/or patterned doors will set your home apart from those around it. Here, color, geometrical patterns, and texture all come into play. other popular design features include, double doors, arched doors, and gate-style doors. 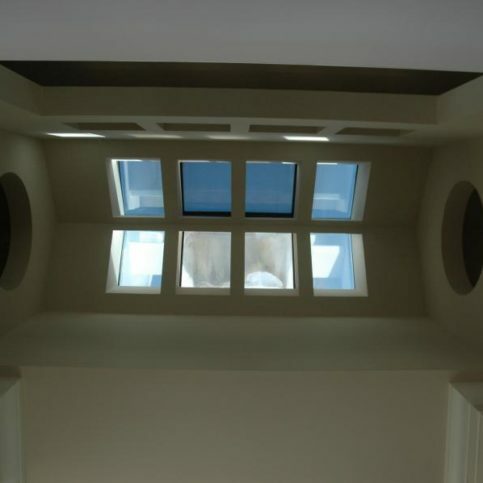 Do you want your home to have more open feel and have a door with windows or open geometrical designs? Would you prefer a more secure fortress-like feel of a heavy carved wood door? How large do you want your door to be? The frontal proportions of some homes call for larger door designs. Your front door says something both about you and about the kind of home you live in. Antique doors or doors with exotic Mediterranean, Asian, or modern features can provide eye-catching stylized effects. 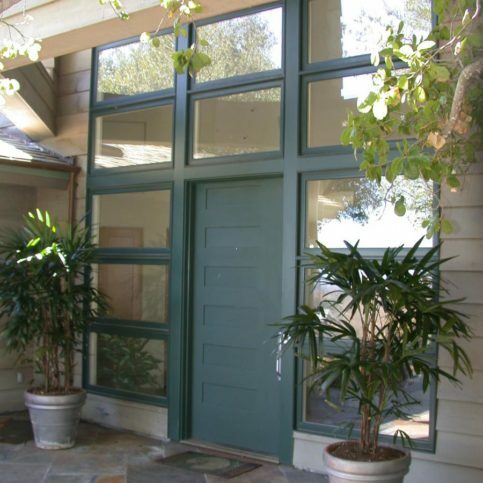 Another consideration for exterior doors is energy efficiency. Although doors account for a small portion of the exterior surface area of the home, it is the primary culprit for energy loss. Paying attention to the energy efficiency of your door area is the best way to ensure that your house stays properly heated and cooled. If you live in an area with more extreme weather and/or tend to use climate or air quality control systems, an energy-efficient door can take 10% off your utility bills. 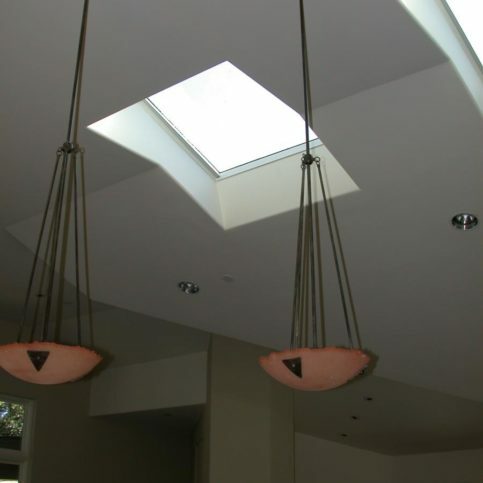 Additionally, in certain areas, energy-efficient fixtures qualify for a tax credit. The most common materials you will select from when choosing your interior and exterior doors are fiberglass, wood, or steel. Steel doors can be both attractive and surprisingly inexpensive. 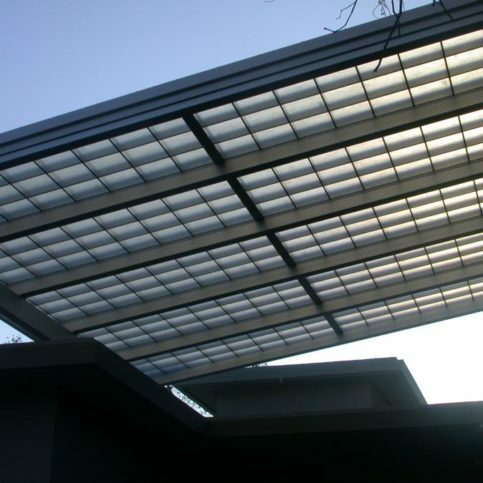 They can range from $150-$500, and of course steel is among the strongest building materials. Sizing and installing a steel door including all materials typically costs $1000-$1500, but you will earn three quarters of this back upon resale. The downside of steel doors is that they’re less durable than wood or fiberglass doors, typically lasting only 5 to 7 years, depending on usage and exposure to the elements. Steel doors are also more expensive to repair. Fiberglass doors present a happy medium between steel and wood, offering the cost-effectiveness of steel and many of the aesthetic benefits of wood. But perhaps the greatest advantage of a fiberglass door is that its durability is twice that of wood and steel. 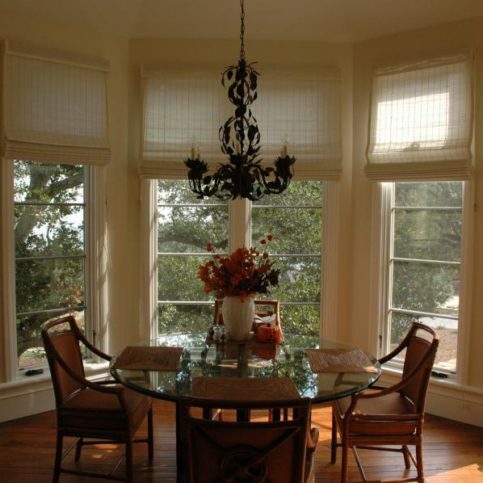 Additionally, it is virtually maintenance-free, rarely requiring a reseal, paint, or stain. 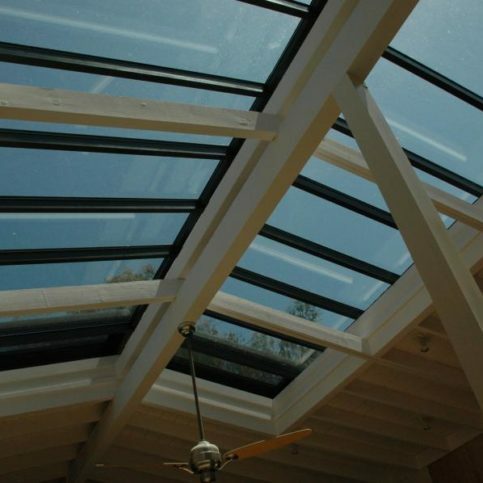 It also offers considerable protection from intruders and ranks at the top of the list for insulation and energy efficiency. Fiberglass doors cost between $150 and $600, and the total project cost is typically between $1500 and $2500. For many homeowners, there is no aesthetic substitute for a wood door. Wood is the standard for higher budget projects, providing luxury and handcrafted features that steel and fiberglass doors cannot match. As such, wood is typically more expensive than either of the two common alternatives, ranging from $500 to $2000+, not including installation. Additionally, wood doors typically need to be repainted or resealed a minimum of every two years. However, wood doors are also easier to repair. You can also purchase higher energy efficiency doors that are made of sustainably grown and harvested wood. 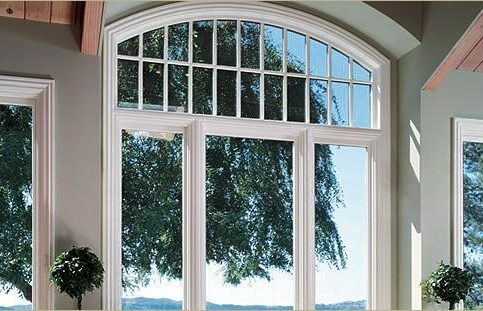 They’re in mind that the energy efficiency of any door also depends on its framework and windows. One important consideration when selecting a door material is energy efficiency. Exterior doors account Certain door materials conduct or transfer heat energy more easily than others, while others are better at naturally insulating the interior environment. Do you want solid-core doors for hollow-core doors? Hollow-core doors may be less expensive and look the same as solid-core doors, but both their insulation properties and soundproofing qualities are vastly inferior to solid-core doors. They also feel dramatically less sturdy, something you’ll notice every time you open and close them. Once you better understand the scope of your project, you can begin developing a budget. Visit a home improvement store in major San Francisco districts. You can also perform a web search to look at the available options and prices for the kind of door you want. The best place to start is Diamond Certified, which provides a lengthy list of door designs and manufacturers. What door style do you prefer? Standard design options include sliding, pocket, and hinge. What kind of material do you like? Options include wood, steel, and fiberglass. As you research online or in your local San Francisco home improvement store, keep a comprehensive list or spreadsheet detailing estimated materials needed, sources, and prices. Be sure to include peripheral material costs in addition to the actual door, such as molding and seals. A detailed budget and price list will prove useful when negotiating with prospective contractors. Be sure to look for San Francisco contractors that possess both the necessary experience and contractor’s licenses for the specific type of work you need. All San Francisco door contractors must be licensed by the California State Contractors License Board. The CSLB offers 43 different license classifications. You can verify a prospective contractor’s current license on the CSLB website. 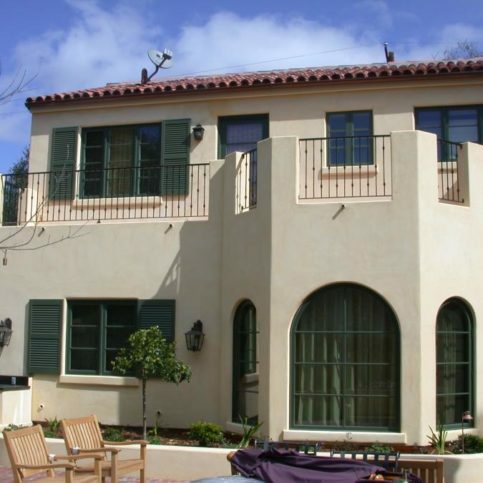 Licensed San Francisco door contractors service all the major San Francisco districts, including Sunset, Richmond, Mission, Tenderloin, Bernal Heights, Excelsior, Pacific Heights, Nob Hill, North Beach, and Bayview, and smaller areas like the Castro, Cole Valley, Cow Hollow, Diamond Heights, Duboce Triangle, and Eureka Valley. It’s likely that the contractors you’re considering have a portfolio of previous projects for you to browse, which will offer a good indication of the scale and style of work they have completed. In addition to this, you can request references from previous customers. Portfolios and references go a long way in providing you the information you need to make the best informed door contractor selection. You are the customer. If your goal is to choose a door contractor that will deliver high customer satisfaction and quality, you’ll feel confident in choosing a Diamond Certified door installation company. Each has been rated Highest in Quality in the most accurate ratings process anywhere. And you’re always backed by the Diamond Certified Performance Guarantee. Under the California Building Code, no building or structure can be altered, repaired, or improved without obtaining a permit. Codes vary greatly by city and county, so you can find out more about your specific San Francisco door project on the CSLB website, which details requirements by city and county. 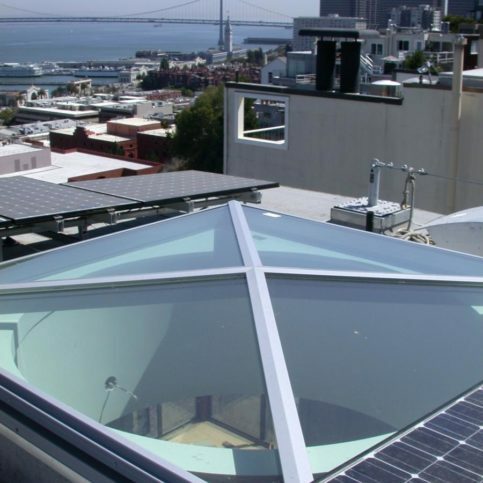 In addition, your licensed San Francisco door contractor can help you identify whether your project requires a permit and how to obtain a permit, if necessary. Why Trust Diamond Certified Door Companies Rated Highest in Quality? Your quest for a satisfying door project begins by clarifying what you want. You can start by asking yourself the following questions. Do I want a Diamond Certified home door company that is rated best in quality and backed by the Diamond Certified Guarantee? Are you planning to replace your doors, or repair or refinish it? 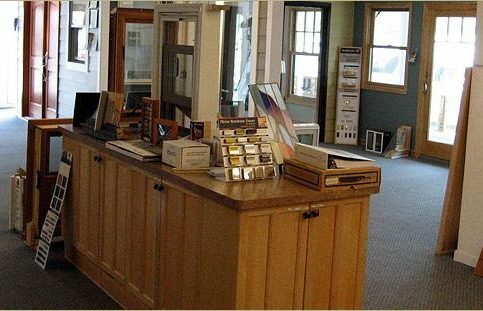 Are you looking for a custom-designed door? What kind of design style do you prefer? What material are you considering? What are your security preferences? Do you plan to maintain your current floor plan and use existing entryways or door openings? Do you plan to replace molding as well as the door? What is the best price you can find for your top selections of new doors? What other materials are required and how much will they add to the total cost? What is your budget for the entire new door installation, including materials and labor? 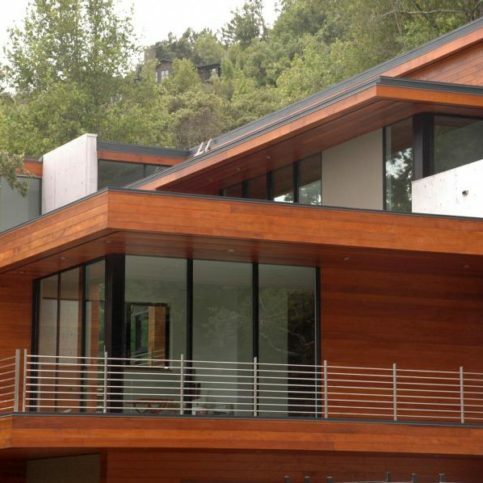 Finding the right San Francisco door contractor for your project requires you to ask a few simple questions. Contractors have unique qualifications, specializations, and experience, so it is important to find a contractor that has all the skills and track record necessary to provide you with quality work in a timely manner. Has your home door installation company earned and maintained a Diamond Certified rating? How long has the door contractor been doing installation or door repairs? Is the door contractor experienced in and equipped to perform the specific type of door project you’ve described? Does the contractor have any creative or technical input on the kind of work you need? For instance, does the contractor think your existing door needs to be replaced? 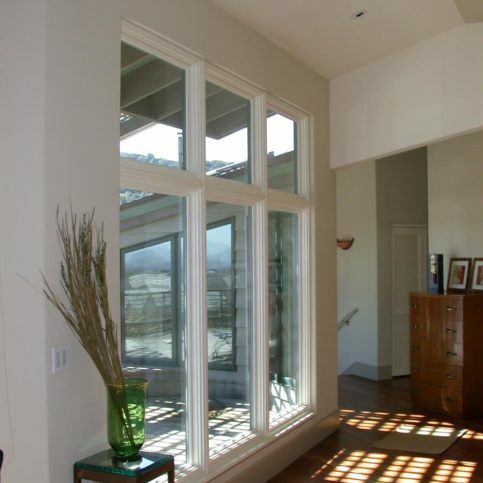 Are sliding doors or pocket doors realistic options given the structural features of the walls? 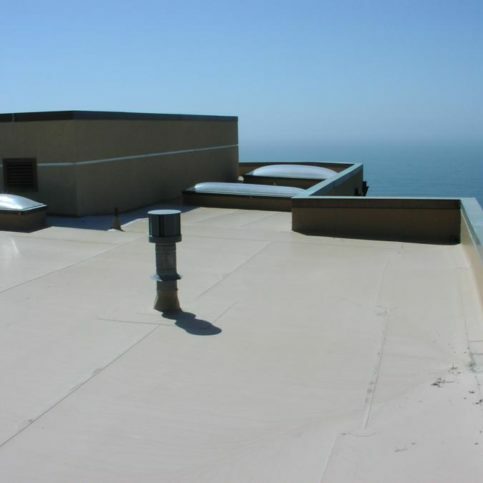 What are the relevant considerations with regards to space and weatherproofing? Does the door contractor have a portfolio and references you may contact? What is the doo contractor’s timeline for bidding, delivering, and/or installing the new door? Does the door contractor have current workers’ compensation and liability insurance coverage? Will the door companies provide a free written estimate? What type of warranty does the door contractor provide? Will permits be needed for the project? If so, who will be responsible for getting them? Do the contractor’s employees actually complete the work, or do they hire subcontractors for the remodeling? Can the door contractors complete all phases of the job? Previous customers can offer a wealth of information about the kind of work you’ll get from a local door contractor before you even sign a contract. All Diamond Certified companies are rated on the basis of independent research and carefully conducted consumer surveys that leave little room for doubt about the kind of service you’ll receive. You can read Diamond Certified reports on all certified companies, including verbatim survey responses. When doing so, you’ll never have to worry about dubious ratings or fabricated reviews, because Diamond Certified research is conducted using telephone interviews of a large, random sample of actual customers. If there aren’t any Diamond Certified door contractors near you, you can still collect references from the contractors you contact. Taking a little time to survey previous customers on their experience with a contractor removes much of the guesswork involved in selecting the contractor that’s right for you. Keep in mind, though, that references provided to you by the door contractors themselves are not equal in value to the large random sample of customers surveyed during the Diamond Certified ratings process. That’s because references given to customers from companies are cherry-picked instead of randomly selected from all their customers. 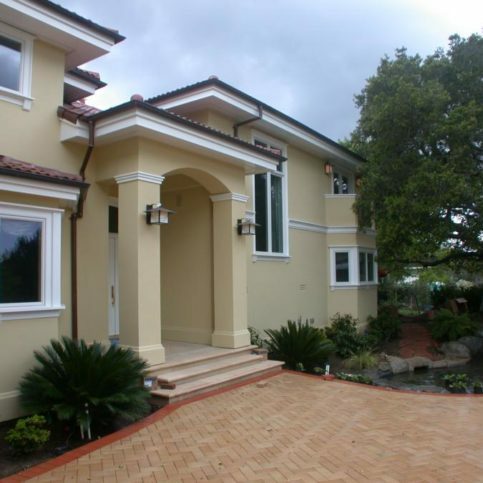 Contractors will often give you a few customers to call that they know are satisfied. What was the nature of your door project? Why did you choose to work with this specific door contractor? Would you hire this door contractor for another project? Now that you have all the available information in front of you, including estimates, references, credentials, and if available, the endorsement of Diamond Certified, you’re ready to select the contractor that provides the best fit for your door project. Review your notes, the estimates you’ve received and your initial impressions, and ask yourself the following questions to help choose the best door contractor for your job. Which interior door contractor’s estimate is within your budget? Which home door contractor’s portfolio is closest to your tastes and preferences? Which door installer’s Diamond Certified reports and previous customer responses are the most enthusiastic and in-line with what I’m looking for? Once you’ve decided which contractor best suits your needs, the last step before work begins is to negotiate and sign a contract. A contract is a legal agreement that outlines and protects the interests of both parties. This essential step will make sure that both parties are clear about what a job will entail in costs, payments, and timeframe. Your contract should detail how and when the work will be done, which materials are necessary, and how much each material costs. A good contract can spare you the headache of legal action down the line. Start your contract by making a list of all responsibilities of both parties. For example, is the San Francsico door contractor you’ve hired responsible for purchasing and moving materials? Who is going to obtain the permits, if necessary? Next, determine an agreed upon price for all the involved materials and labor. This is where you can use your preliminary pricing research. If you found hardware or seals cheaper, tell your contractor where. Also, don’t be afraid to bring up estimates that other contractors provided you, if they are lower than the contractor you’ve selected. This can help in negotiating a better price for your door remodel. Finally, review the estimate your chosen door contractor has provided and recommend any changes. Be sure to include a clause dictating that you wish to approve any costs above the agreed-upon amount. Finally, a guarantee of the quality of the work and all warranty time periods should be specifically noted. Once you have agreed upon a cost that fits your budget, a timeline in which the work is to be completed, and a schedule for submitting payments, your door contractor can begin work. 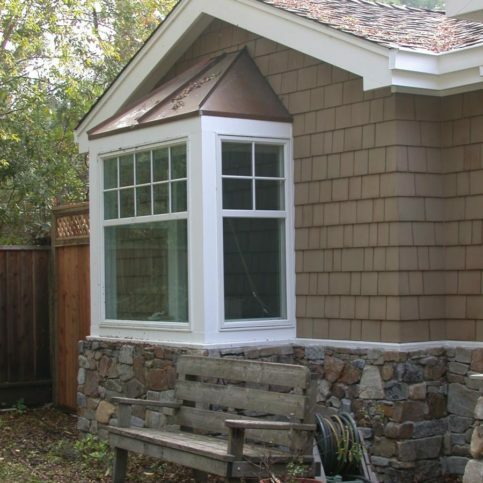 After you have discussed the nature of your specific project in detail with prospective licensed San Francisco contractors, you should obtain a complete, written estimate of charges for all labor and itemized costs of all materials involved. How Can You Be a Good Client? It’s the door contractor’s responsibility to provide you with a quality product using the best possible installation techniques. But you play a big part in the success of your door remodel too. Here are some steps to ensure that you’re a good customer when hiring a San Francisco door contractor. Be clear and upfront with the contractor. Let them know what you want from your door, the long-term outcome you’re expecting and specific ways they can satisfy your expectations. Before you hire a door contractor in San Francisco restate your expectations and goals, and reiterate to the door remodel representative your understanding of the agreement. Most problems with local contractors occur because of a breakdown in communication. By being clear about your expectations and theirs, you can avoid most conflicts. Ask your door contractor if you should reach out to check on the progress or if he will contact you with updates. Be sure your service representative has a phone number where they can reach you at all times while they’re remodeling your door. The work will move along more smoothly if your door contractor can reach you for any necessary updates, questions or work authorizations. Pay for the new door materials and work promptly according to your contract. Why would you want to be a good customer? 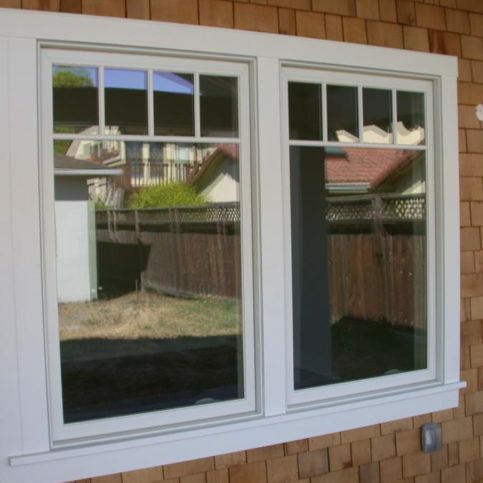 Door contractors in San Francisco appreciate customers who are straightforward, honest and easy to work with. Your good behavior as a customer creates an environment conducive to a good relationship. Things may very well go smoother and any problems may be more easily resolved. The last step in your San Francisco door remodel project is to make sure that the work you receive is the work you desired. It should be immediately apparent if your contractor has installed a door or hardware that are different from those you selected. In addition to this, be sure to inspect that all parts are in working order, seals are present, and molding has been replaced. If you have any questions about the new door, parts or installation, now is the time to ask. Ask to keep copies outlining the details of all warranties and guarantees that apply to both the materials used in your door remodel and the service provided. A physical address for the door manufacturer and/or service provider (whichever is responsible for guaranteeing the product and installation). The door installer’s license number. 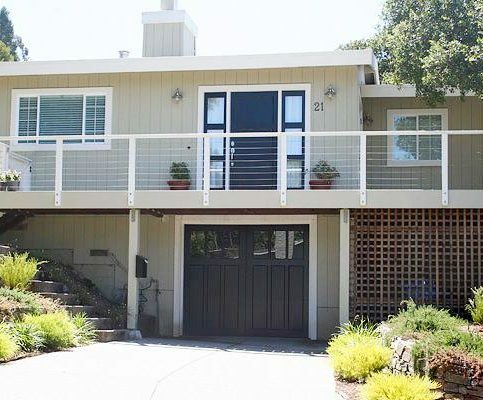 Door contractors in San Francisco can often perform a wide range of tasks, but some door remodel projects are more commonly requested than others. 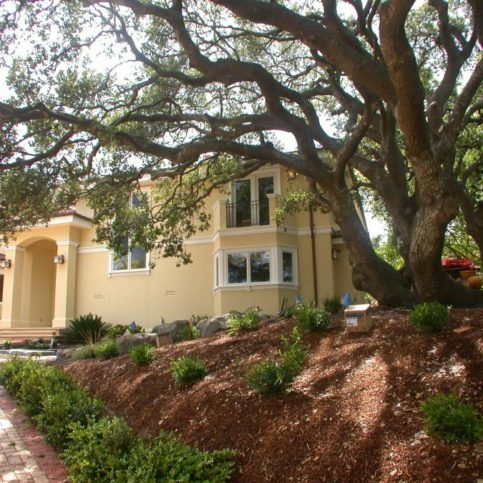 The most requested San Francisco door remodel services include the following. While many people think of door contractors as mainly installation experts, not all projects require a brand-new door. A simple repair or facelift can give your door new life, and regular service, maintenance, and repair will save you from the more significant costs of new door installation. Additionally, a qualified door repair contractor can perform testing and inspection, and ensure that the operation and efficiency of your doors are optimal. Entry doors are constantly exposed to the elements, and wind, rain, and sunlight take their toll over time. In particular, wood doors require regular maintenance and refinishing, both for longevity and aesthetic appeal. Your door refinishing specialist can restore your weatherbeaten entry door to its natural luster. Entryway seals will crack, tear, or dry out from repeated use. Most entryways therefore need to be resealed periodically to ensure maximum airtightness and energy efficiency. If your door is causing noticeable energy loss, you need not replace the door entirely. A qualified door contractor can help seal off your door and entryway to prevent further energy loss. A qualified door contractor will assess the needs of your current entryways and provide you with the latest weatherproofing and entry sealing products. The pocket door is a door or set of doors that are housed within the wall, rather than swinging out from it. As such, installing pocket doors can be more labor intensive than installing a traditional swinging door. Your qualified door contractor can address the specific needs of the entryway in which you wish to install pocket doors, and ensure that the door, housing, and hardware are the best fit for your needs. Swinging doors are the standard hinged door and jamb mechanism that is the default for most entryways in a home. You will have a wide range of options for materials and hardware styles for any swinging door, and your door contractor can help you navigate through this array to identify the best fit for your tastes and space. Other relevant considerations include whether to install an inward swinging, outward swinging, rightward opening, or leftward opening door, and how much clearance to leave at the bottom of the door for carpeting or a rug. Many exterior doors come in double door systems featuring both a heavy security door, and lighter screen door to allow increased light and ventilation while maintaining a measure of privacy. Screen door options include various window and screen configurations, and materials, from solid wood to aluminum and composite. If your budget permits, custom door design may be the option for you, as you can work with your custom door contractor to produce something that precisely matches your tastes. Custom door contractors will incorporate the features that you desire, including a range of materials, face designs, windows, and other design elements to deliver an ideal aesthetic and technical product. The most common custom door projects are for entry doors, and can give your entryway a unique, eye-catching design. 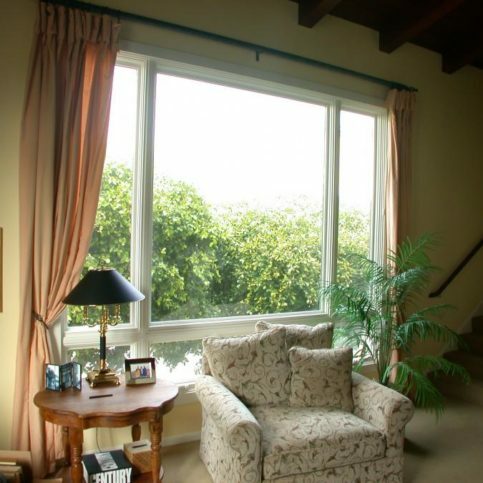 Patio doors can take the form of either hinged or sliding doors. The sliding variety is most common, because most patios are built off of rooms whose furnishings won’t allow for the large swing radius required by a hinge door. 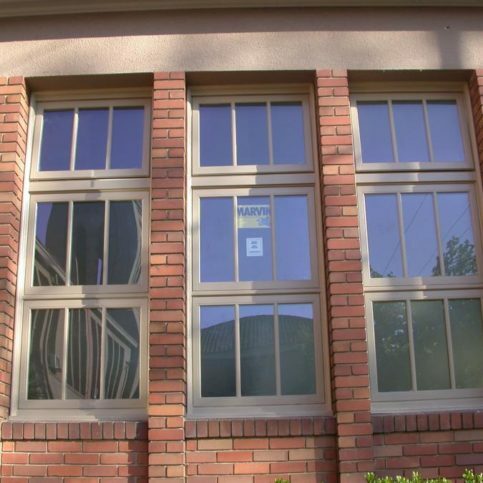 These doors often take the form of two single large glass panes, framed by aluminum, wood, or vinyl. For such doors, it is important to take energy efficiency into account. Look for double paned or coated glass doors. Security doors are built to withstand several hundred pounds of force, and also offer features that protect against intruders, fire, and other hazards. They are also more weather resistant, and come in a wide range of design styles, though they are often made of steel or heavy-duty aluminum. Security doors can therefore offer both maximum peace of mind and aesthetic appeal. Doors can be opened thousands of times over their lifetimes, and as such, wear and tear on their moving parts requires periodic hardware replacement. In addition to improving functionality, new door hardware can dramatically beautify your existing door. Choose between a wide array of door knobs, handles, and locks to give your door the best security in an attractive set of new hardware. The following terms and definitions are those used by many door contractors and door installation companies. Becoming familiar with these terms mayhelp you better communicate with your door repair service. A door style featuring multiple hinged, sliding doors that fold up like an accordion when the door is open. Often used in long arrays to create an open wall. A molding attached to a pair of doors that prevents them from swinging or sliding completely across the entryway or door opening. Also eliminates air gaps, preserving air integrity and reducing infiltration. An exterior door located in the rear of the home. A kind of door that can be folded into two parts. similar to accordion doors. The dimensions of the door as listed by the manufacturer, prior to being sized and custom cut. A type of door hinge on swinging doors featuring interwoven knuckles connected to flat “leaves” on the door and jamb, into which a pen is dropped. A doorframe used to accommodate sliding doors that move horizontally along a track. Such a system saves space thanks to the elimination of swing area. 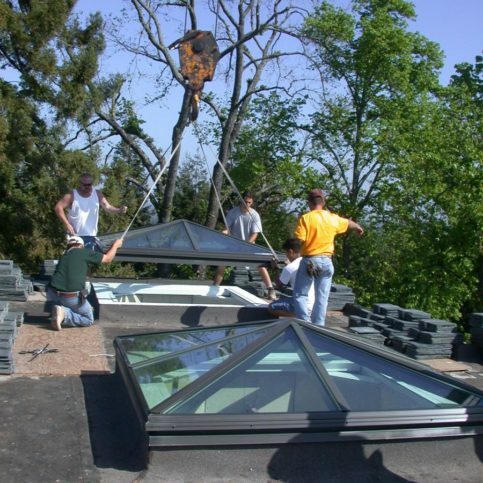 Covering one material with a protective and insulating layer, often metal. The transfer of heat through another material. Cutting the end of wood molding to properly align with and fit the pattern of the wall or other molding. A concave molding used in corners. A pattern of intersecting diagonals in the door panels. The angled cut of the lock side of the door that enables it to swing free of the frame. The type of core material used inside a door to obtain some degree of fire rating and strength. Common types are corrugated honeycomb paper, particleboard, wood stave, polystyrene, mineral fiber, and polyurethane. The large, exterior surface of the door. In wood doors, the surface from which the lumber grade is determined. The casing into which a door fits, consisting of one header, two jamb legs, and a stop. A piece of often rectangular material located in the frame made by the stiles, rails, and mullions of a door. A door with hinges or pivots that allow it to swing in both directions. 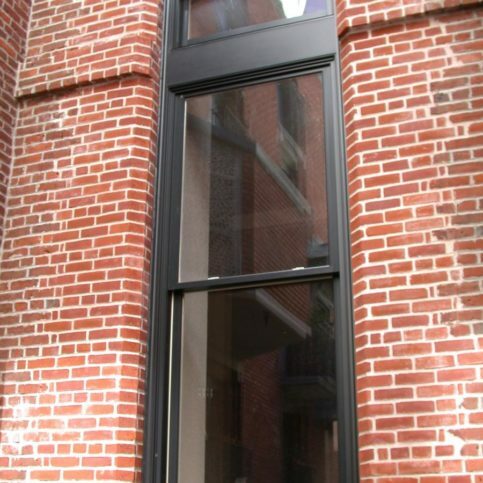 A type of molding that helps water flow away from the exterior face of an outside door. A door split into upper and lower sections that can be opened independently. Flat pieces position on the inside of a door frame, allowing it to fit flush into a wider wall. The threshold that is beveled to prevent water from passing under the door. A type of door featuring a face made of divided glass panels. French doors often come in double door pairs. Describes the level of quality of a door material, especially wood. A fire retardant rock often used in paint. The horizontal casing on the top of an entryway. A strong, relatively durable synthetic material made of molten glass used to make mid-range doors, and as insulation in core material. The door designed to meet standards for fire ratings and fire proofing of various durations using special fire resistant cores and frames. A strip used to eliminate water and air leakage between a door frame and wall. A flexible rubber or vinyl strip affixed to the bottom of a door to create a seal. An opaque, often white colored glass that allows light to pass while still obscuring the view, thereby providing privacy. Common in exterior doors. Hardware used in the swinging door system to allow the door to rotate open and closed around the hinge radius. Doors that consist of a typical way corrugated cardboard interior, rather than a solid wood or other heavy core material. Lighter and less expensive, these doors also provide significantly less soundproofing and are not as durable. 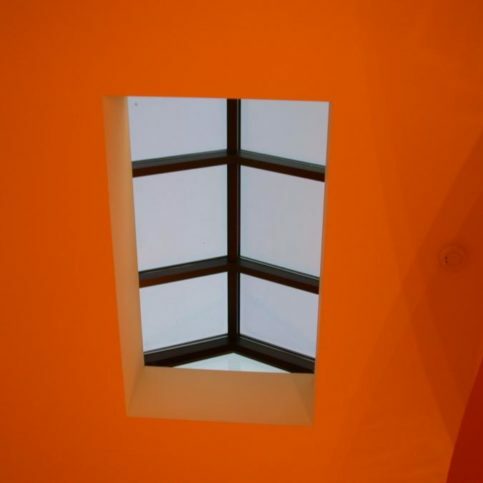 The passage of air between one environment and another, due to lack of airtightness. Compromises an interior environment. A material or action that prevents the leakage of heat, moisture, or sound. Common type of door hardware consisting of a knob that turns a spring operated latch. The rail at lock height of the door, containing the lock block and lock set. A type of door featuring downward sloping horizontal slats that provide ventilation while still offering a measure of privacy. The vertical rail that divides the panels in the face of a door. A popular design trend featuring a retractable or removable wallspace and blurring the line between interior and exterior home environment. Often accomplished using some variety of sliding door or garage door. The panel comprised of wood pieces bonded together, often used in the core of the door. A thin, cylindrical piece that serves as the axis of rotation for hinged doors. Doors that pivot open by turning around a central radius located somewhere between the side edges, This allows the weight to rest fully on the ground, as opposed to hanging from a hinge, enabling pivot doors to be significantly heavier than traditional swinging doors. Pocket doors slide out of a wall to cover the door open. When open, pocket doors essentially “disappear” back into the wall, eliminating the swing radius of the swing door and saving space. The process of minimizing the transfer of soundwaves from one side of an entry way to the other. Often involves creating a vacuum sealed space or installing dampening materials. The vertical side pieces on the face of the door. Traditional hinged doors that feature inward or outward swings and handle hardware, unlike many sliding doors. The most common door design. Decorative millwork and moldings surrounding a door opening. A thin sheet of wood, usually between 1/100 and 1/4 of an inch that forms the surface of many wood doors. Damage caused by exposure to the elements, especially sunlight, rain, and wind borne particles. The process of prepping a door and entryway to withstand the local elements with maximum resilience and durability. Often involves water sealing and insulation. Q: Why choose a Diamond Certified door contractor? A: Diamond Certified helps you choose a door contractor with confidence by offering a list of top-rated local companies who have passed the country’s most in-depth rating process. Only door remodel contractors rated Highest in Quality earn the prestigious Diamond Certified award. Most companies can’t pass the ratings. American Ratings Corporation also monitors every Diamond Certified company with ongoing research and ratings. And your purchase is backed by the Diamond Certified Performance Guarantee. So you’ll feel confident choosing a Diamond Certified door contractor. Q: How long does a typical door installation take? This depends on the scale of your project. A simple entry door replacement should take no more than one day once materials are obtained. However, installing a home full of brand new products or custom fixtures, and especially, changing the floor plan, will dramatically increase the timeline. Selecting materials and finalizing terms can take 2 to 3 weeks, ordering and delivering materials can take 3 to 6 weeks, removing old materials can take 2 to 3 days, installing new materials can take 1 to 3 weeks, and finishing touches and clean up can take an 2 to 3 days. Q: Will my door contractor be able to help me choose materials and obtain permits, if necessary? Qualified, licensed door contractors will definitely offer creative and technical expertise in the decision-making process, steering you clear of materials that may not fit your budget or size-constraints, and lending their advice on various materials and manufacturers they’ve worked with. They will also most likely have a portfolio of design options you can peruse, and will know the ins and outs of obtaining building permits. Q: How long does a typical door project take? This depends on how significantly you overhaul your entryway. Accommodating a new door can require expanding an entryway opening, matching other design elements, replacing other doors and fixtures, weatherproofing and soundproofing, or rearranging the mud room. A simple installation of a correctly-sized door should take less than one day, provided that you hired a capable diamond certified door contractor to obtain adequate measurements and estimate the under-door gap accurately. Q: How much does a new door cost? This varies widely, from $150 for a basic steel door to several thousand dollars for a custom wood door. Here, the material quality and customization make all the difference. A prefabricated steel, fiberglass, or wood door will cost less than a custom model, and wood is typically more expensive than steel or fiberglass. You can expect a traditional prefabricated swinging door to cost between $200 and $1000, not including installation, which can add an extra $300-600 to the price. Q: How often should a wood door be resealed or refinished? This depends on the amount of moisture, sunlight, and airborne particles a door is subjected to. In extreme exposure on an unprotected entryway, refinishing may be necessary every year. However, in an entryway that is protected from direct sun and moisture, a door’s finish can last many years. A dry, dull appearance, surface discoloration, and raised grain are all signs your door should be refinished. Q: Which door material is the best? Wood doors are generally regarded as the most durable and aesthetically pleasing of the common exterior door materials. However, they are typically more expensive and higher maintenance. Steel doors are less weatherproof and durable, but represent the least expensive door material. Fiberglass doors are both durable and moderately priced, but do not offer the same sense of luxury that a wood door does. Q: What is the typical warranty on a door? Manufacturer warranties can vary depending on the type of door and quality. Entry doors often come with longer warranties, often 20+ years, once again depending on the material and quality. Interior doors feature shorter limited warranties of typically 1 to 5 years. Q: What is a typical payment schedule? Q: I don’t know much about design—can a door contractor help me find something that looks good? Many larger contractors have a designer and interior decorator on staff who can help you select products that will be an attractive fit for the rest of your home, inside and out, or provide a optimal first step in a complete design overhaul in the future.